The Ukrainian Greek Catholic Church-run Orphan Care Center raises funds for the purchase of premises in Lviv, which the Lviv Regional Council has auctioned. The room is located on 7 Korolenko street and costs more than UAH 29 million. This was stated by the Center chairman, Father Roman Prokopets, in a comment for Tvoemisto.tv. 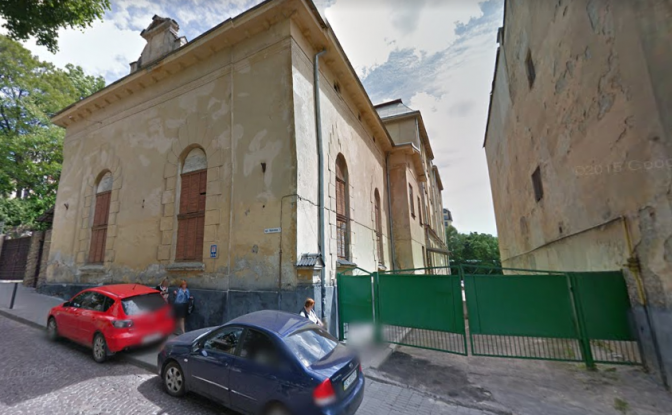 Earlier, the Orphan Care Center contacted the Lviv Regional Council with a request to transfer the building to it, and the city councilors have turned to the latter with the same request, but the LRC refused to do it. Thus, the Orphan Care Center launches fundraising for the purchase of premises. “We will talk about this not only in Lviv, not only in Ukraine, but also throughout the world. This is a paradoxical situation. But we have to purchase this room to work and take care of children,» says Fr. Roman Prokopets. Now, according to him, the base of Saint Nicholas is located at Korolenko 7, where they collect aid, which in the future will be transferred to the military or to a hospital. The Center itself operates as a mobile group that travels to orphanages and shelters, and takes care of children there. “If we managed to launch this place as a turn-key ready center, we would receive aid not only in the form of clothes or food, but of the comprehensive material, spiritual, moral aid and support. We want to gather in one place all the projects that we run now in the city and the region. This is the football club Kazanok, the culinary school, psychological counseling. It will host rehabilitation offices, dining rooms, computer classes: we have cooperation with SoftServe - the IT Schoolgirl program. It's all we could unite and do even more if we had this room, "the priest says. He notes that for six months, the Center had been trying to reach out to representatives of the LRC. “There was no specific point, so it's hard to say what these conversations were about. They were trying to convince us that this building is not needed. And when we tried to explain our view, we were not heard,” says the priest. According to him, Korolenko, 7 could also arrange a place to accept children. The head of the Center says that when camps for children from all over Ukraine were organized by the Center, every time you need to look for big money to rent a room for their settlement. For the Center's activities, says Fr. Roman Prokopets, you need not only the building, but also the area next to it, to collect a large number of children and to engage in activities. Therefore, it is only about premises on Korolenko, 7, and not about alternative premises. The purpose of the payment is "voluntary donation", the recipient is Orphan Care Center of the UGCC (Lviv, 5 St. Yura Square). Contact numbers: 097 295 36 06, 096 749 79 80. On January 30, the Orphan Care Center located at Korolenko 7 will hold a warm evening party to thank patrons, volunteers and friends of the Center. The event will begin at 16:00. P&P Quintet is to sing Christmas carols. The highlight of the evening will be a charity auction by the icon painting workshop “Little chaplains". The collected funds will go to the arrangement of the premises for the needs of children of the Orphan Care Center.